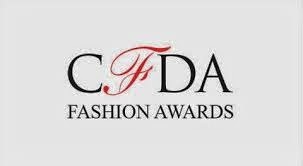 Yesterday, the Council of Fashion Designers of America not only honored Tom Ford with a Lifetime Achievement Award, but also had some great looks grace their stage and red carpet. Take a look a these hot looks and tell us what you think! Blake Lively and Busy Phillips both chose cute form-fitting dresses. Busy's accent necklace was the perfect added touch. Plum was a ravishing choice for Bridget Moynahan. She looked great and sparkled in this gown. Chrissy Teigen had a cute orange look. The warm color was a nice touch of spring. Her natural-toned shoes were the right addition. Obviously this model is well put-together. Fashion Queen Diane von Furstenberg gave us a relaxed summer look. Her yellow tunic and white clutch with feathered shoes showed she is certainly an established icon. Another Queen in the fashion world, Iman, hit us with beauty in blue She mixed shades of blue and accented with a bold black belt. As always, she was ready for the camera. Her necklace made just as much of a statement as her hair and makeup. Songbird Jennifer Hudson gave us a barely basic black look. There was sass from head to toe. Her pixie cut, varied shoulder gown, and ruffled black shoes were monochromatic, but far from boring. Rihanna gave us a look from the past, inspiring Ms. Josephine Baker, in her Old Hollywood sequined piece. The headpiece, the fur, it was all nostalgic, and just right for the winner of the Fashion Icon Award. It was a bit controversial to some, and certainly kept people talking. She never disappoints. 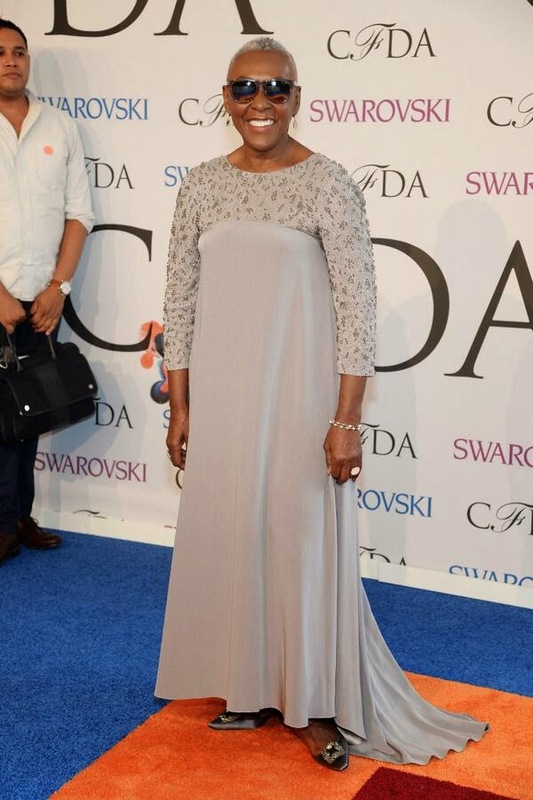 We should also note Ms. Bethann Hardison, the fashion activist who received this year's Founders Award. She dazzled in Prubal Gurung as she took one of the most important accolades of the night. Ravishing. The CFDAs are always fabulous. The Lincoln Center was filled with great looks, glamour, and hair and makeup ready for the magazine pages. Can't wait 'til next year! Photo credt to E! Online, who was live at the fabulous event.